We are pleased to kick-off our initiative, “Japan Italy Bridge interviews”, which introduces one-of-a-kind Japanese companies to the world, with a special interview with the CEO of Gerbera Design Inc., Takahiro Sato. 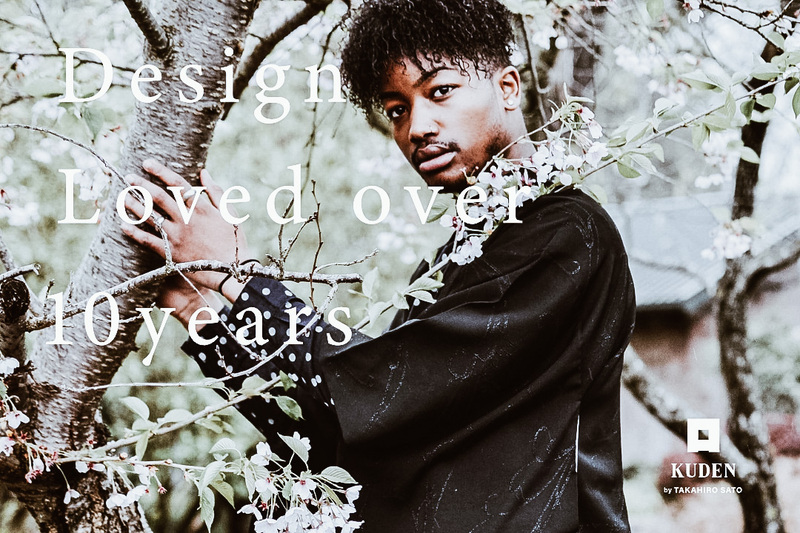 Gerbera Design Inc. is the company behind the fashion brand KUDEN by TAKAHIRO SATO which ran the massively successful Kickstarter campaign for their Samurai Mode Jacket. The campaign was so successful that it was funded more than 1000% of its original goal, and has garnered much attention from various media outlets all over the world. On this occasion, we have been given the opportunity to speak to the man behind this runaway success to find out more about his story, the future of his brand, and his thoughts about Japan and Italy. ーー To start, please introduce yourself and your company. Hello. 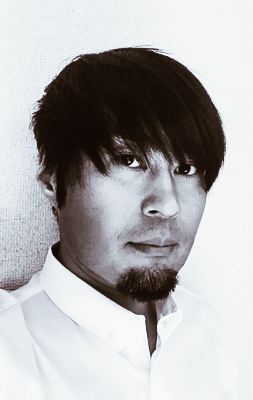 I’m Takahiro Sato, the designer of KUDEN by TAKAHIRO SATO (below, KUDEN) and the CEO of Gerbera Design Inc. (below, Gerbera Design). You may call me Tak. Utilising the experience that I have gained through the loss of a previous business and my years of running a business in the entertainment industry dabbling in games and toys, I started up Gerbera Design, a company that provides consultancy services to new businesses while also producing creative works as part of our operations. With the hope that I can create a place where I can work together with my son, who has autism and mild intellectual disability, in future, I launched the apparel brand, KUDEN, under Gerbera Design as a new business with to reach out to an international market. ーー What drove you to start this business? The beginning of my business endeavours was the first time I started a business in 2007. It was a design company that I established as a proprietor. 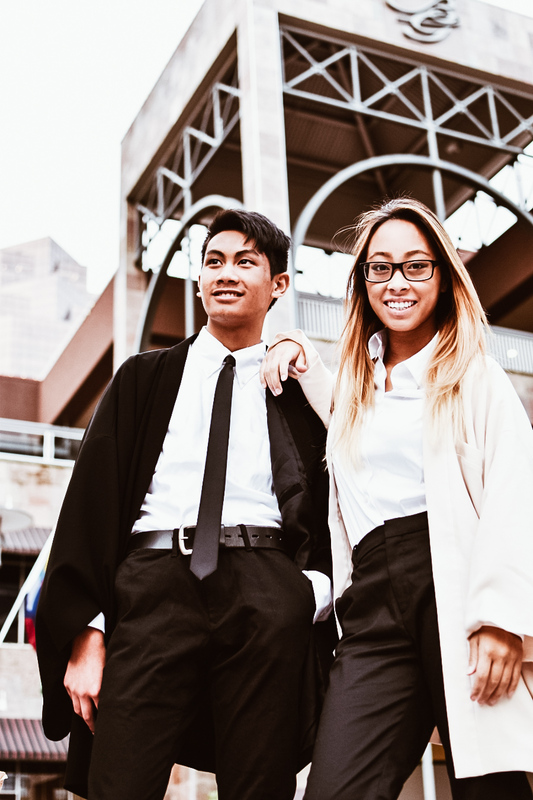 At the time, it was found that both my parents had cancer and since I had to take care of them, I, who was working at a large corporate group in the business of toy and game-making, quit my job and began my journey as an entrepreneur. Despite the hard work that I put into the design company that I ran, the company collapsed and the business folded. Back then, I was a terrible businessman who caused problems for my staff and customers and even ended up living apart from the family I love. What convinced me, a person who has met with such a big failure, to try again as a businessman was the resolution to create a place where I can, in future, work together with my son who has autism and mild intellectual disability, who I’m now separated from. However, I feel that Gerbera Design’s present operations in management consultancy and the creative business are not activities that are suitable for people with disabilities to be employed in. And so, I continue to look for new business avenues. During my search for a new business, I began to think about what the future desires and what I can do as a designer to fulfil that. As a designer, I cherish the things I use and I take good care of them. I personally love long-life designs, and when I thought of wanting to start a business that brings such designs into the world, I found the kimono that belonged to my late mother. Looking at it, I was inspired and felt that it would be interesting to reestablish and redefine the modern kimono, to design something that would make people feel “I want to wear it”. This is the spark that brought the Samurai Mode Series to life. These clothes were then marketed to the world under the brand KUDEN by TAKAHIRO SATO. The reason why I expanded the brand with the international market as our main target is that I wished to create a place where my disabled son can work with me, and thus strategized to establish a company where disabled persons can work and be employed in. 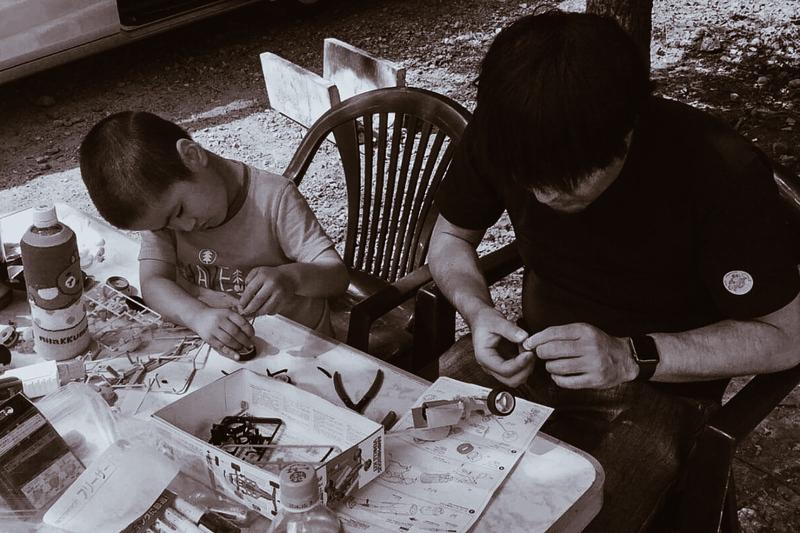 Considering that Japan’s has problems like its declining birth rate and ailing economy, I doubt that support for handicapped people like my son become better going forward. Even for able-bodied persons like me, difficulties are on the horizon as there is talk that the government will not be able to undertake our pension and social security. With all of that in mind, I cannot only focus on the local market and thus have to make the company profitable with an overseas customer base. Otherwise, even the younger generation employees who we employ will have to eventually be let go. To prevent this from happening, I established this business right from the beginning, from its start-up phase, with a focus on the global market. I still have a long way to go, but as this is the one promise that I have made to my son, I will definitely fulfil it before my time is up. ーー What do you pay particular attention to in running this business? As someone who has folded a business once, the one conviction that I keep in mind as I try again as an entrepreneur is to be “a manager that highly values people”; be it my staff, my customers, or my partners and associates. This is an ongoing effort that pursues the happiness of my stakeholders and puts the long-term continuity of the business first instead of focusing on short-term results or gains. This, in addition, demonstrates my resolve and strong will to bring happiness to socially disadvantaged people, like disabled persons and the elderly, through employment and trade. The reason behind these beliefs of mine is the bitter experiences that I’ve had. Long working hours has become a social problem in present-day Japan and I, too, have experienced overworking myself to the point of collapse and losing my company. I’ve also experienced the reality of my ex-wife divorcing me because of the tough times I’ve put her through, thus having to live separate from my son but I should not have let things happen like this. Even though I was working for the sake of my family and my employees, I ended up losing everything. The regret weighs heavy on me. I do not wish for my staff nor my customers to experience the pains of destroying their health and losing their family by overworking. Based on these feelings and my experience with my previous company, I corrected things and applied new methods of working and operating. My company operates on a 4-day work week which allows for 3 continuous days of rest in a week if we can complete our work. Using these rest days, there are staff in my company who are fathers who, for the first time, can find time to spend with their children. There are also others who can visit Disneyland with their partners every Friday, who take lessons during weekends to work towards their dream of becoming a voice actor, and there are those who, like me, live apart from their disabled children, who can fulfil the needs of their children as and when needed. I want them to do more than just work. I want them to live and experience life too. I am still exploring methods of operating and earning that will make these goals a reality through trial and error. Contract jobs are widespread in design companies, and realising these goals of mine will reduce such positions in my company, at the same time converting my business model into one that provides both management consultancy services and creative production. When I fell ill after my previous company closed down, I thought about a lot of things while lying in that hospital bed. I realised that most of our sales were generated by a few customers who made up the top percentage of our clientele. It was then that I decided that I would only go through the trouble to please the customers who appreciate our work and are happy to pay for it, thus changing the focus of how I work and making this possible. Basically, methods of earning that have exceptional methods of working have to evolve with the times. Otherwise, we won’t be able to rectify issues, like long working hours, which become pain points. We’re taking small steps, but I’ll continue to work with my staff to look for methods that work. The next step is to be “a manager that highly values people”, and in expanding my new business, KUDEN, I have first started with the garment factory to connect craftsmen with the employment of disabled persons, and taken on the challenge of pushing forward the business as one that cherishes all the stakeholders involved. Others may laugh at me and call me naive, but I am committed to this. The operational improvement of Gerbera Design Inc. (formerly, Sato Creative Design Office Gerbera) was featured on the front page of The Tokyo Shimbun’s morning edition in December of 2016 as a part of author and work-style critic Yōhei Tsunemi’s book on business practices of small and medium enterprises, “なぜ、残業はなくならないのか(祥伝社新書)”. ーー How do you think the global market perceives KUDEN? Also, what kind of impression would you like the world to have of KUDEN? I think that KUDEN doesn’t come across as a brand that is in the ‘fashion’ sphere to the global market. Instead, KUDEN is loved by people who feel that anime, manga, food, crafts, Zen ideology, arts, and other cultural aspects of Japan resonates with their own personal values. While we’ve met with various difficulties during this time’s pre-order sale of Samurai Mode Jacket, my staff and I were deeply moved by the numerous messages that we’ve received from customers all over the world who told us how they were patiently waiting and looking forward to their jackets. They have encouraged me, saying that my desire to work hard for my son makes me a ‘samurai’ to them among other such heart-warming messages. As a brand that doesn’t only cater to people who love clothes, the integrity and resolve that KUDEN possesses is what we call ‘being dignified’, and in English, we have named it as ‘thoughtful life’. I feel that this perspective that our brand has and the desire to connect the lack of craftsmen successors with the employment of disabled persons through design has allowed me to make kind and like-minded friends around the world who share my vision with me. I want to step up my efforts and work harder so as to not betray the expectations of all these people who support these visions and perspectives of KUDEN. And that was the first part of our intimate interview with CEO Takahiro Sato! Having read it, how do you feel? What do you think? Do share your comments with us on our Facebook page! 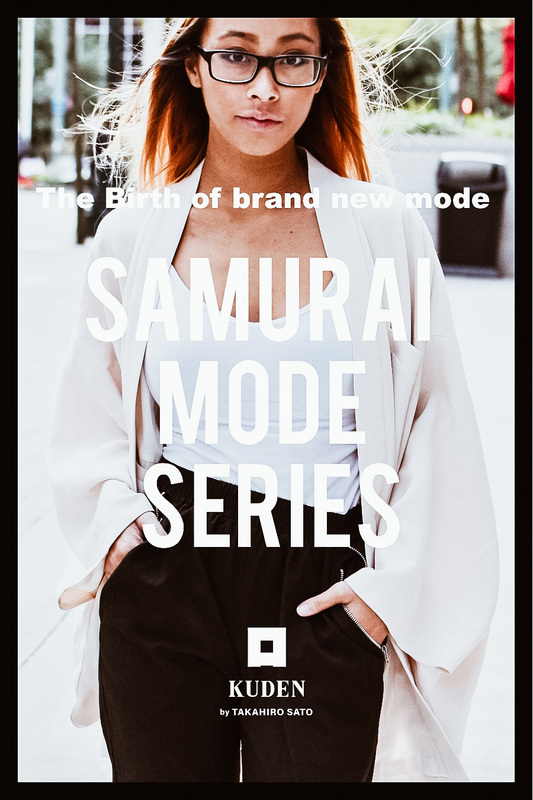 Also, before you go, do know that the Samurai Mode Jacket mentioned in the interview is now available in their online store alongside their newly released Samurai Mode Shirt! They do also offer gorgeous vintage Kimono and Haori in their store, so do make sure you check it out! You never know what you may find! 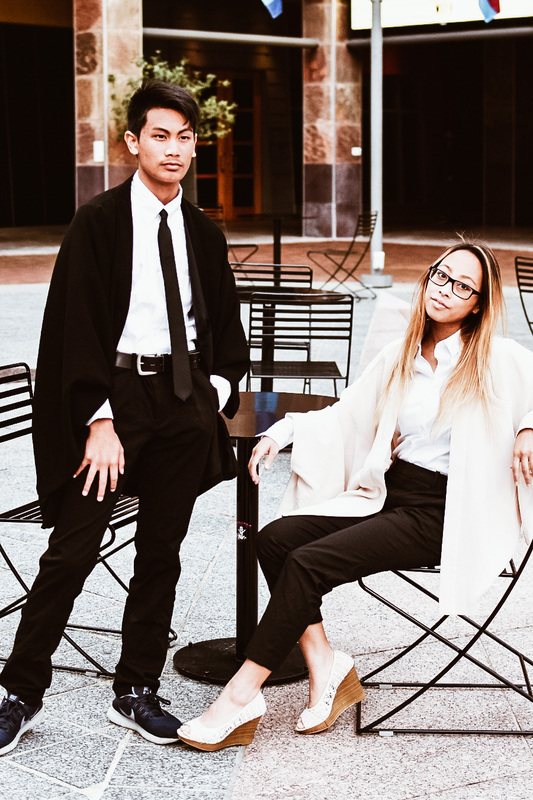 Stay tuned for the rest of the interview and to read more about KUDEN’s brand approach and future plans!